CNC-milling is a technique which uses a rotating tool (the mill) to remove material. This technique is primarily used in the wood and plastic processing industry. Yart Factory specialises in the milling of MDF sheets, Dibond, Multiplex, and many other plastic and wood varieties with thicknesses up to 25mm. The factory has computer programmed two-axis milling machines (CNC) which can mill any flat shape precisely. We produce (MDF) shapes in different sizes and formats completely according to your wishes, such as MDF clipboards, wall decoration, name boards, small furniture, storage boxes or Home Decoration and interior accessories. Yart Factory uses her advanced milling machines to mill products for third-parties (companies), for series productions as well as single productions. Yart Factory also puts the advanced milling machines to use for CNC milling for third parties. 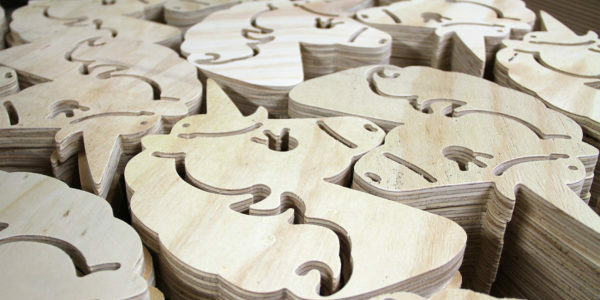 We are specialised in CNC milling of MDF sheet materials. Apart from MDF, there are options for milling other materials. Feel free to contact us about option without being put to any obligation. 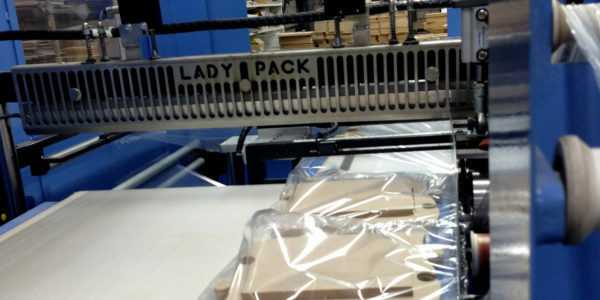 Milled MDF products or other CNC milled items can be shrink wrapped by our heat foil machine giving the product a tidy and well protected consumer packaging.